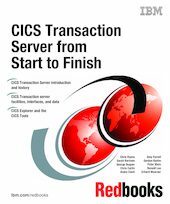 In this IBM® Redbooks® publication, we discuss CICS®, which stands for Customer Information Control System. It is a general-purpose transaction processing subsystem for the z/OS® operating system. CICS provides services for running an application online where, users submit requests to run applications simultaneously. CICS manages sharing resources, the integrity of data, and prioritizes execution with fast response. CICS authorizes users, allocates resources (real storage and cycles), and passes on database requests by the application to the appropriate database manager, such as DB2®. We review the history of CICS and why it was created. We review the CICS architecture and discuss how to create an application in CICS. CICS provides a secure, transactional environment for applications that are written in several languages. We discuss the CICS-supported languages and each language's advantages in this Redbooks publication. We analyze situations from a system programmer's viewpoint, including how the systems programmer can use CICS facilities and services to customize the system, design CICS for recovery, and manage performance. CICS Data access and where the data is stored, including Temporary storage queues, VSAM RLS, DB2, IMS™, and many others are also discussed.